Why Can’t LP Stand Du30’s Change? Can it be a Confrontation of Marcos’ Golden Era? The anti-administration particularly Liberal Party supporters are strongly against the recent action of the president. Du30’s detractors are implying that the country is going back to the militarization of Marcos’ golden era. On the other side, it is warmly welcomed because it could mean that law-abiders can have good like white outlaws are strictly punished but hopefully not abused of their rights. 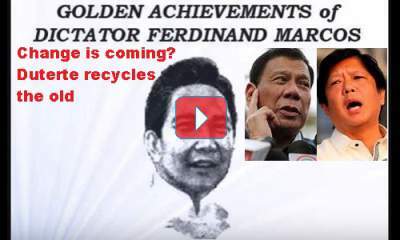 [VIDEO]: Ferdinand Marcos’ 20-year iron rule has been the golden age in our country. Sometimes on his reign, Philippines had become the second richest country and the most literate in Asia. He declared “Martial Law” to save the Republic from its enemies at any costs. Numerous projects and infrastructures are dedicated to making the Greater Philippines a regional power alongside China. The recent Cabinet appointments by the President is the result of hs frustration with his orders that are left unimplemented. He is now aware of his unrealistic deadlines and promises after six months in the top post. If there’s anyone who can obey his orders without questions, it would be the military men. It’s not a surprise that he appointed two military generals for the Department of the Interior and Local Government and the Department of Environment and Natural Resources after CA rejected anti-Marcos Gina Lopez. Former Armed Forces chief Roy Cimatu is now the new DENR secretary, while still-to-retire Armed Forces chief Eduardo Año is the new DILG secretary. The president, however, does not have the monopoly of military appointments in the bureaucracy in the Philippines’ after the Marcos era. Fidel Ramos had 100 military men in his government. Arroyo also appointed more than 50. 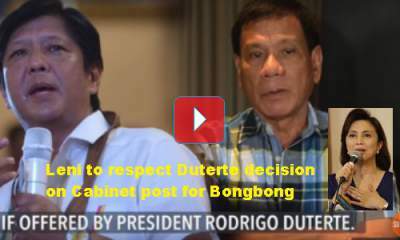 It is obvious, however, that most of his cabinet members are pro-Bongbong Marcos. This goes the same in the senate among the pro-administration senators, of course. The areas of education, heath care, infrastructure and public services during the Marcos era were successful because of the discipline instilled by martial law. PDu30 understands this. Thereby, he chooses disciplined men from the military – as well as those politicians who understand why the Marcos ways are needed in the country. Does this mean that the president is preparing for Bongbong Marcos to take over? It has been heavily rumored that Bongbong Marcos assumes the DILG’s top post once the one-year ban for defeated candidates expires tomorrow. However, Malacañang recently released a list of the President’s appointees in April. It is listed there that the Department of the Interior OIC Catalino Cuy, who temporarily replaces Interior chief Ismael Sueno is not the new DILG Secretary but Armed Forces Chief General Eduardo Año. 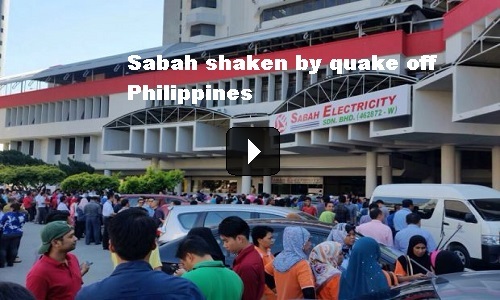 Youtube video by; GMA News [VIDEO]: Undersecretary Catalino Cuy was first appointed as OIC of DILG. Bongbong Marcos was the popular bet for the DILG Secretary post. Undersecretary Catalino Cuy was first named the new Department of the Interior and Local Government (DILG) Officer-In-Charge. He is then listed as the DILG head in April by the President but Armed Forces Chief General Eduardo Año was later announced as the new DILG Secretary. The said list is the same news release that announces former House Speaker Jose De Venecia, Jr.’ appointment as Special Envoy for Inter-Cultural Dialogue. It also discloses the appointment of former Armed Forces of the Philippines (AFP) chief of staff Roy Cimatu’s appointment as the new DENR Secretary. He replaces the controversial Gina Lopez. Armed Forces. The news on General Año then followed. Marcos supporters are clear that they want SC to facilitate the recount as soon as possible. The first three locations for priority recount are not yet known. There is still a pending Comelec request for them to have temporary custody for the ballot boxes from Maguindanao, Lanao del Sur, and Basilan. Marcos and Leni Robredo’s camps must submit their briefs to speed up the process five days before the Preliminary Conference on June 21. This shows that the president really wants Marcos to focus on the protest. Perhaps to aid him in running the country as his VP.